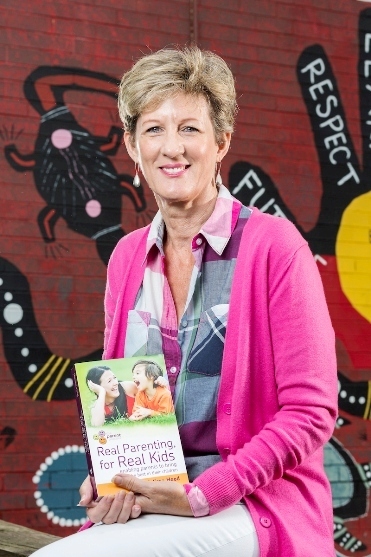 Also just released is a new book "REAL PARENTING FOR REAL KIDS" by Melissa Hood, our Family Skills Facilitator. Often we hear parents saying one of two things: "I don't need a family life skills program because I am not a bad parent" or they say: "If I do a course on family life people will think I am a bad parent"
Kids issues are important aren’t they? When we went to school some of the issues were the same, friends, lessons, teachers, perhaps even drugs and alcohol too. But we didn’t have much suspension and school refusal to deal with, and certainly not the fear of kids coming to harm travelling to and from school, or bullying as an issue the way it is now. If we made a mistake it wasn’t plastered all over face book, there seems to be a lot tighter pressures nowadays. Not only for the kids either, parents face kids being smarter at pushing our buttons, and we in turn perhaps pushing each other’s buttons more regularly and then there is the influences of TV and electronic games. Making ends meet is no joke either and handling what “other” kids have that ours don’t. Family life has some really sunny spots too, when a little one says “I love you Mum” or a teenager cleans their room without being asked, that’s a big one. Most of us would really enjoy a few more sunny days though how could we get that? Learning Ground Family Life Skills Programe is fun. It certainly makes us feel better about ourselves as parents and sheds some light on how to understand our kids better, how to get them to talk to us truthfully, helps us deal with troubles that occur at home and at school, gives us new tools to help our kids and, by the way, ourselves feel and become much more successful either as parents or kids It helps us look at how to correct mistakes and discipline kids without mammoth pain. The Family Life Skills Program is ideal for parents of children from toddlers to teenagers and also suitable for grandparents, carers, teachers and others involved in the formation or education of young people. The Family Life Skills Program runs over five sessions from 10.30am to 1.30pm with a light meal provided. Book now as places are limited. Email rumbi@chainreaction.org.au or phone Rumbi 0438 187 611 for more details and bookings. An attainment certificate is offered to all who complete at least 80% of the program, and is sponsored by Commonwealth Department of Social Services and The Neilson Foundation. “I spend a lot of time catching my kids doing the right thing now, I’ve learned how to notice this and everyone in the family feels better about themselves” - Mother of 9. "Coming home to partner and kids has become a pleasure since doing Family Life Skills" - Father of 2. "My son is talking, I would never have expected this because he is on the autistic spectrum. I have confidence in him now and he knows it" - Mother of 3 year old.